Tired of doing everything by hand? 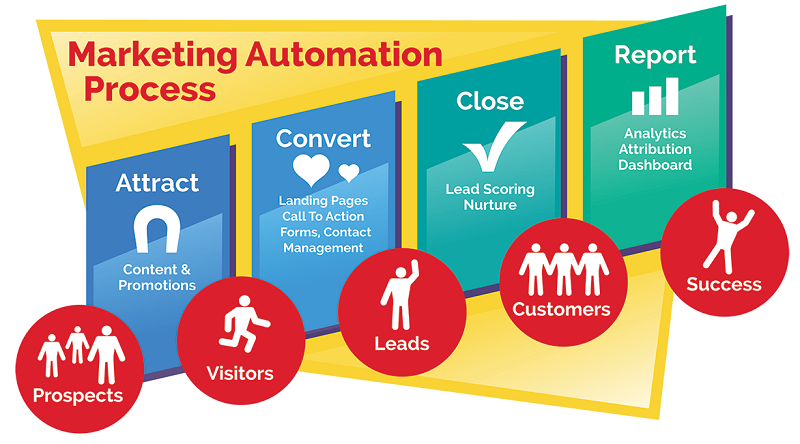 In this article, we discuss how all marketing activities can be automated in whole or in part. With some little trick to save time and increase efficiency! I definitely did not convince you that automation all or part of some repetitive tasks is a winning way to save time and devote it to research and development. 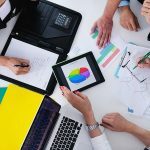 In your daily marketing activities, they are very many operations that can be managed independently by small programs that generate automation. 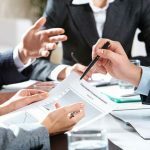 With these tricks, you can avoid spending the time to manual and repetitive processes, saving resources for the strategic operations which require long efforts of thought and concentration. We start from the basis: What is the automation? The automation is the act of making an executable from a tedious, manual process program. Clearly, the condition is that this operation is always the same: in fact, if just one variable requires an effort of thought, cannot be an automation. A condition (also called triggers), the occurrence of which must lash a specific consequence automated. A result that the occurrence of the condition is triggered. A-service marketing automation that works free of these basic conditions is IFTT, which is integrated in several systems that we all use every day. An example is: every night at 20:00 send me an email with the weather forecast for the next day. Instead of opening every day a website for weather forecasts, the automation allows to overcome each step. Like it or not, our marketing activities are surrounded by repeated activities that could be avoided with a simple automation. Thus the time saved can lead to optimization and efficiency of marketing processes. Let’s see some examples in the daily activities of web marketing web agency. Google Alerts is a free tool that allows you to new web content (pages, articles, and websites) which are to receive daily e-mail summarized that speak of a brand or product. IFTT allows you to send all tweets with a certain hashtag in a daily summary. Mistakes can happen. The important thing is realizing the right time and fix everything. Google Analytics is the first tool to turn to when problems arise on an Internet site. Thanks to the custom alerts, you can periodically receive warnings about traffic changes, errors and sudden drops in conversions. Implement an error-detection system is a more efficient way, allowing you to identify in real time any problems (like a down server). Increase the cost-per-click to constantly reach the top of the page, for the most profitable keywords. Pause ads or keywords under-performing. Clearly, even the campaigns of social media marketing have similar automations, including publication of the post. More or less expensive professional tools allow you to automate the publication or sharing of content, the unleashing of certain conditions. To lead nurturing means the activities of “cultivation” of business contacts, a concept that has exploded in marketing in recent years, which corresponds to a real change of mentality in the contact management objectives. Once the lead inserted into the platform, send an e-mail welcome. If the user opened the mail, start after three days the last article of the blog in a new e-mail message. If the user clicked on the latter e-mail, reading the article for more than thirty seconds, after five days send a shopping coupon for an invitation to purchase. 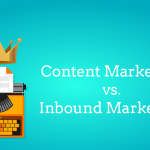 It is a clear simplification, which attempts to summarize marketing flow very complex, which can make it possible to optimize the conversion rate of leads efficiently. The speech is rather complex and long, and we will devote a separate article in a few weeks. The e-commerce can benefit in a very particular of marketing automation, to optimize the sales conversion rate. It is a crucial moment of the CRO, the activities Conversion Rate Optimization which can be exercised to maximize sales and revenue from online shops. Show personalized content to users based on their browsing history (if “Category X” is the favorite, shows “content Y”), also a process called behavioral targeting or behavioral targeting. Set a lead nurturing flow on the abandonment of the carriages, sending automatic e-mails to try to recover the potential dropouts. Monitor competitors prices and automate the management within certain ranges, with prudent strategies of repricing, or automation price marketing. As I said, I shall return to these topics in more detail shortly, for taking the time to a very diverse discourse and which can lead to enormous benefits. 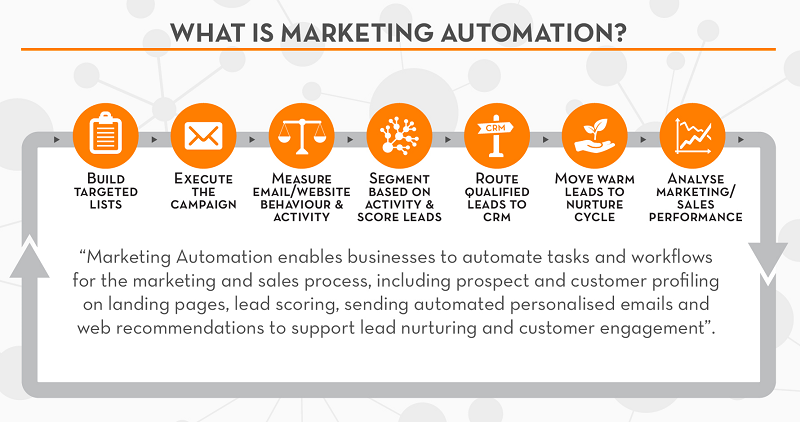 The Marketing Automation platforms: What are they and how to choose? The ability to leverage behavioral and not only demographic targeting. A fast and efficient support service. The perfection from the technical point of view (not to solutions full of “bugs” and errors). Careful declination to the language, in all its elements. 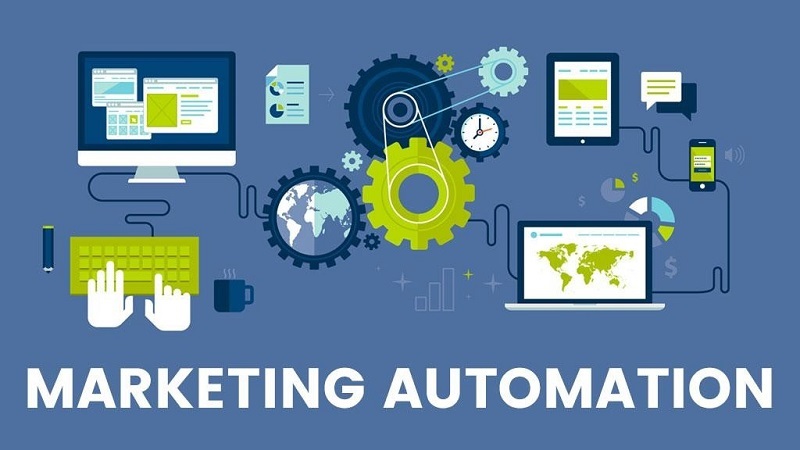 In this article, we talked about marketing automation and how it can help the ordinary and repetitive tasks of marketing, achieving a process optimization and savings in time and resources. In this sense, I showed you how dozens of marketing activities could be automated, from brand monitoring, up to the advertising. From lead management to the optimization of the conversion rates in e-commerce. Key to Sales: Know to communicate!